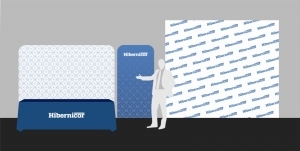 As Hibernicor is a new company and Asporto is a new product, the company and product need to establish brand names within the medical industry to create an identity. The branding creates integrated system that has visual consistency within the brand architecture thus presenting a uniform professional message to the customer. The stakeholders of the brand identity include the company leadership, the employees, subcontrators, customers, and general public. The brand identity will help manage the perception of a company and differentiate it from the competitors. The brand will also help the company leadership raise start up capital as well as help the sales team in the future. The strong brand identity combined with a strong company mission and reputation will build brand equity though increased recognition, awareness, and customer loyalty. Hibernicor’s mission is to be the standard of care for increasing the quality and quantity of donor hearts available for heart transplantation. The product nomenclature is based upon Latin scientific terminology which reflects the products function. For example, the name Hibernicor is an amalgamation of “hibernate” and “cor” which is Latin for the heart. Reperio: to get again, find, ascertain, discover, invent. Imago: an image or likeness. The vector graphics are hard-edged images created in a drawing program which can be manipulated and scaled without losing reproduction quality. The raster or bitmap images of TIF (Tag Image File Format), JPG (Joint Photographic Experts Group), and GIF (Graphics Interchange Format) are continuous-tone images which cannot be scaled, rotated, or skewed wihtout loss of reproduction quality. Hibernicor is a registered trademark with the United States Patent and Trademark Office since 2006. The websites hibernicor.com and hibernicor.net are a registered domain names. Asporto // Heart Preservation Device.